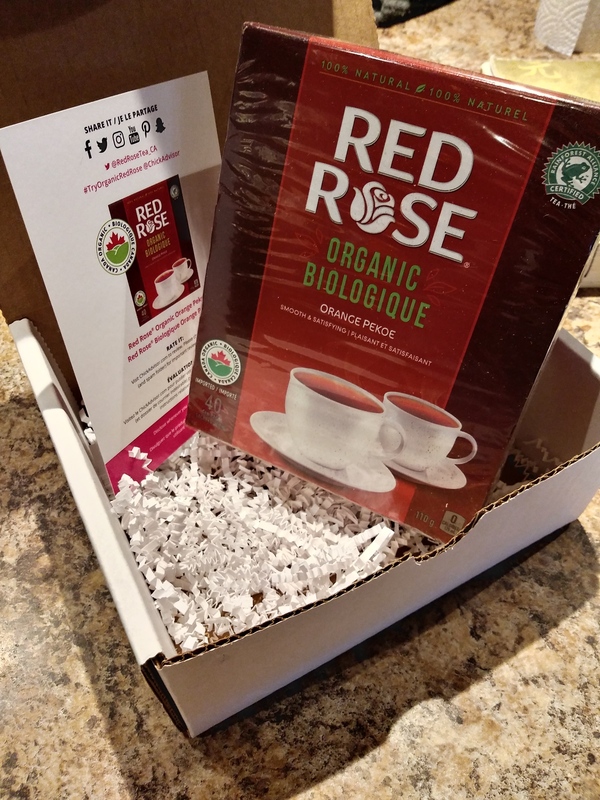 Try Red Rose® Organic Orange Pekoe Black Tea for a taste that is smooth & satisfying. Made with 100% Natural Organic Tea Certified by Pennsylvania Organic. 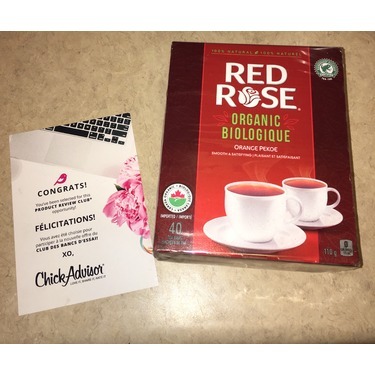 Le thé noir Red Rose® Biologique Orange Pekoe pour un goût qui est plaisant et satisfaisant. 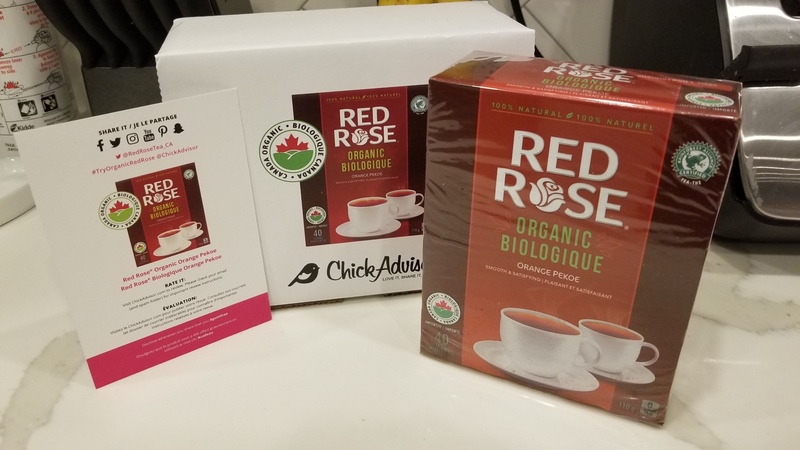 Fait avec du thé biologique 100 % naturel, certifié biologique par la Pennsylvania Organic. As someone who is obsessed with tea, and have been for a young age, red rose has always been a familiar brand and family fave! I even used to collect the little figurines, they used to include in the box ; miss those lol! 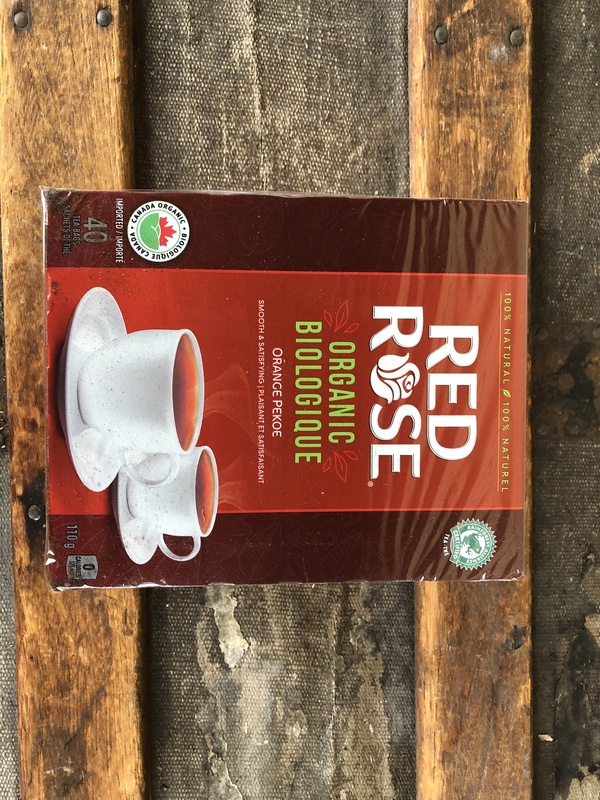 However over the years, focus on organic teas were where I was at and finding out where and what I was drinking became increasingly important, and red rose because a thing of the past for me. I am so very happy to see they have joined the world with its obsession with organic and natural, but have not sacrificed a thing for taste ; this tea tastes the same as I remember it tasting, drinking in the kitchen with my grand mother. 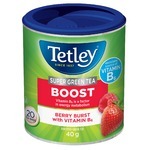 This is a classic, with a modern revamp to be included when considering a healthy tea. Red rose is enjoyed by many all over the world. 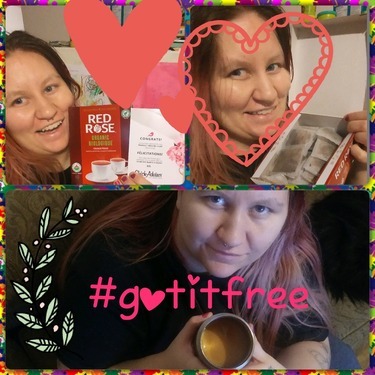 It’s always been wonderful, and I’m happy to say nothings changed, I enjoy this hot , black , with sweetener and cream , with honey, with lemon, with syrups , it’s just so versatile , it can be used for anything to do with tea! Nice job red rose , happy I was one of the lucky people to #getitfree, will absolutely include this as a staple in my tea cupboard ? 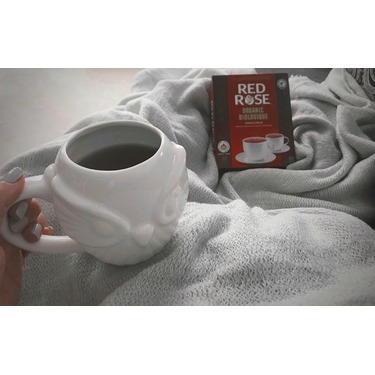 Red Rose has been my Fave cup of Orange Pekoe for as long as I can remember. 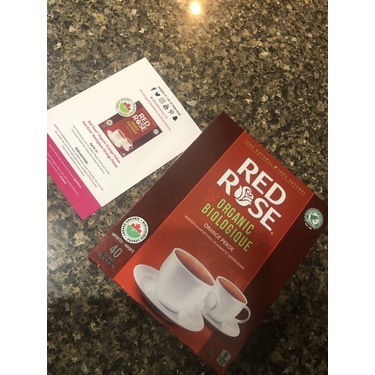 It was what my Grams Fave Tea so I naturally gravitate to it for nostalgia and taste, I was skeptical that being organic and coming in fancy Bio Bags could make it taste better...But to my surprise it does! This was the Best cup of Tea in a long time. Notably a pure taste and no bitterness! I am converting! 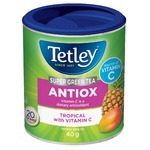 Tea that not only taste better but I can feel good about the health and environmental benefits too! My Grams would have loved this! I am so grateful to have been selected to review this! Red Rose is always amazing! 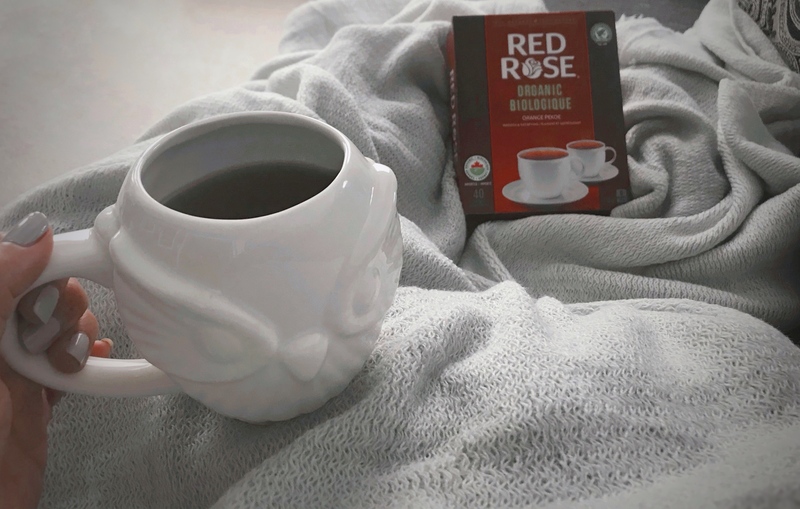 To be completely honest I've never been a huge fan of Red Rose tea. I've always found it to be very bland with a metallic taste although I tend to find that in most black teas and end up having to hide it behind sugar. I did, however, go in with an open mind since this is an organic tea after all. Unfortunately, this like all other red rose teas left me with a lot to be desired. I ended up having to use more than a little sugar to cut through the blandness. 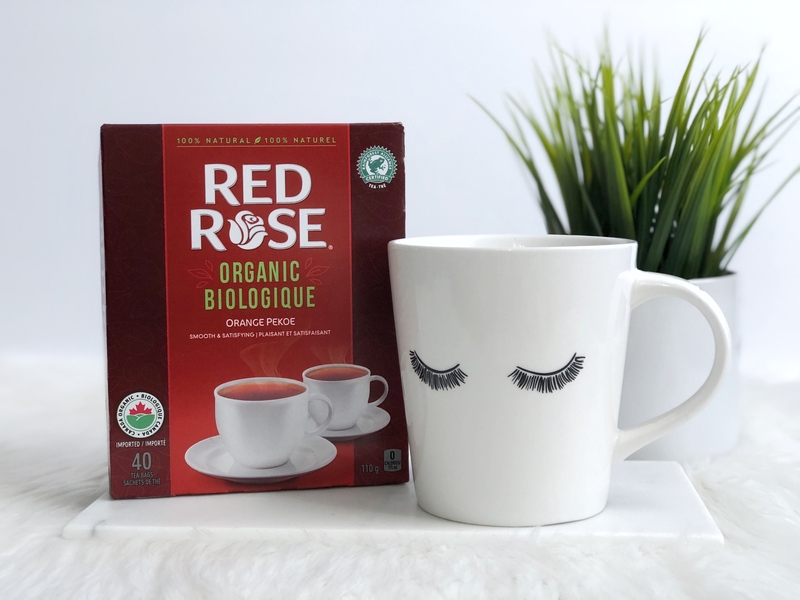 this is just my personal opinion though and I know others who love Red Rose tea so if you are one who normally enjoys Red Rose tea it being organic can definitely be a reason to choose this over another orange pekoe tea. Delightful classic taste but now organic! I am a huge fan of black teas, but from my experience they can taste a bit bitter at times. This tea has a smooth, rich taste that is not bitter at all. I enjoyed it with a touch of sugar, and it was perfect. 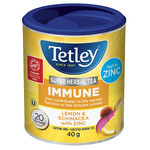 I normally add a bit of lemon juice to my black teas, but this one didn't need it. The tea is grown organically, which makes me feel better, because I expect better control, better sustainability and less pesticides in organic farming. The only thing I didn't like is the fact that the tea bags don't come with a pull-out string, so I have to get them out with a spoon. 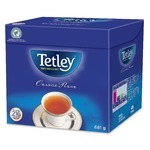 Other than that, I love the tea and would buy it again. 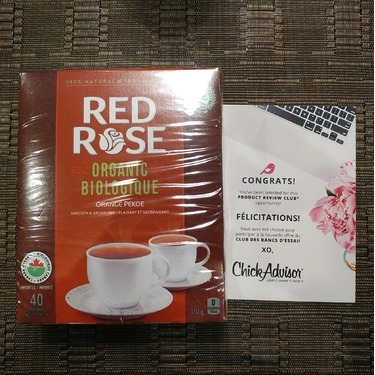 I received this tea for free for testing! I'm a regular coffee drinker, so on the occasion I decide to drink tea, I usually lean towards a black tea/a tea that has a stronger flavour. This was a great caffeine alternative for those days when you only need a little pick-me-up. It's smoothe and doesn't have a bitter after-taste that some teas tend to have. I've never had the original (non-organic) version, so I can't compare the two in terms of flavour. 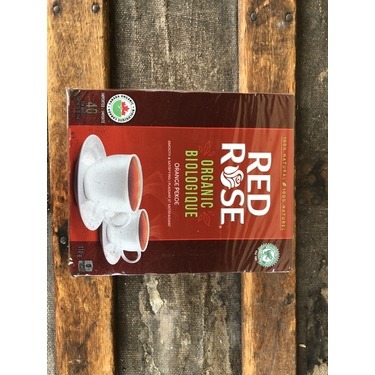 But, it does put my mind more at ease knowing that Red Rose has become more conscious on sourcing ethically. 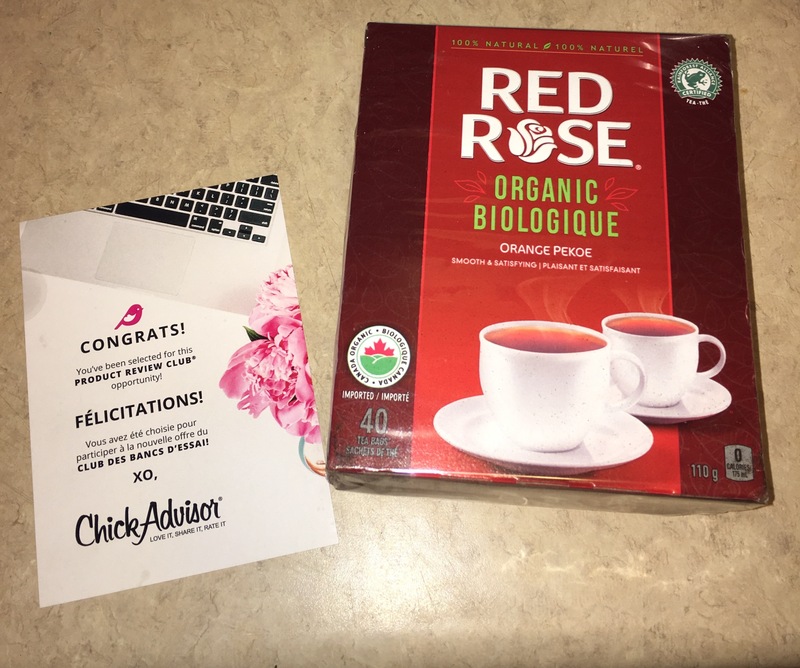 *Disclaimer: As part of the ChickAdvisor team, I had the opportunity to try this product for free. 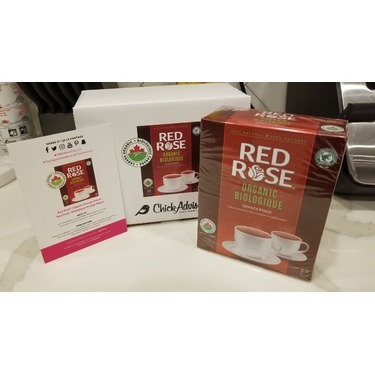 Red Rose Orange Pekoe Tea is the go to tea in our house, so I was so happy to see they have an organic option. It is smooth and tastes great, smells nice too. I would definitely buy this again, as I try to buy organic when there is that option. I got this product for free in return for my honest review. 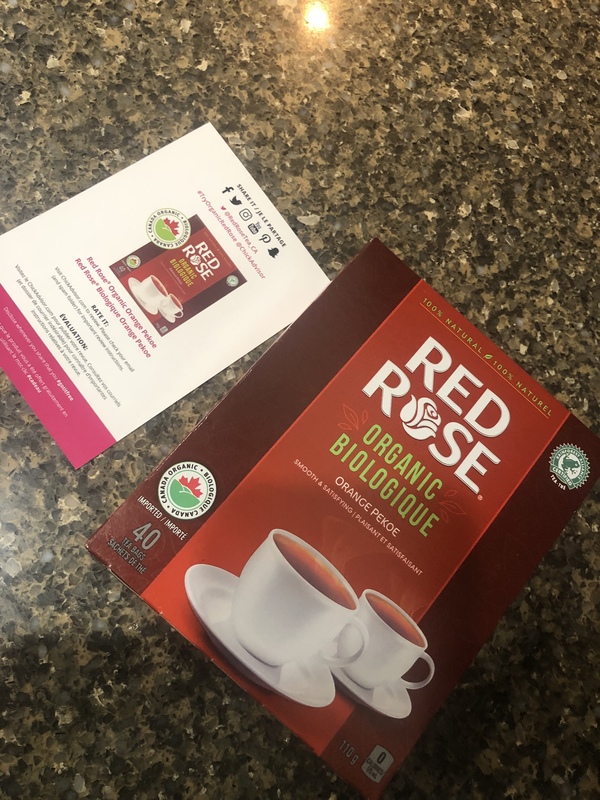 It's no surprise that I love the Red Rose normal orange pekoe tea so I was really happy to hear of this new organic option. I never thought of tea having to be organic before, but now that you think of it, all tea should always be. 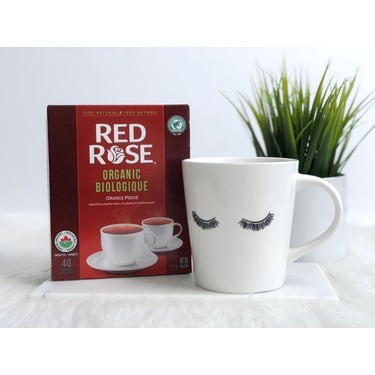 The classic flavour of Red Rose Orange Pekoe is there, with the added ease of mind that I know it is organic, so I know I'm not ingesting anything bad. 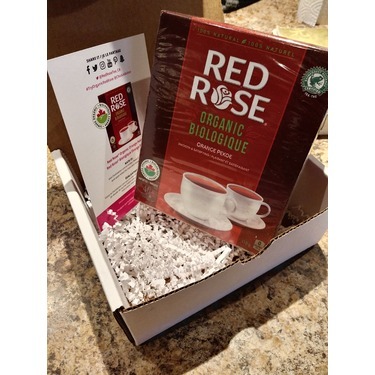 I'm really impressed that Red Rose has an organic alternative and Ive been enjoy this every morning. I tried this for free, but would have bought it anyways!